Learn valuable information from our industry pros and join the discussion. Not a member? Enjoy a free webinar on us! 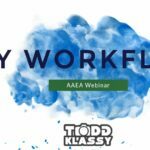 For full access to our webinar page, join AAEA today! 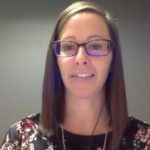 Join the Young Professionals SIG for this webinar to walk through updating your resume, addressing what to include and what employers are looking for. 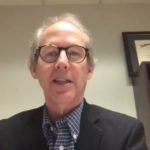 The webinar features Tim Hammerich, host of the "Future of Agriculture" podcast and founder of AgGrad, an organization aimed at helping job seekers find careers in agriculture, and Gregg Hillyer, editor in chief at DTN/Progressive Farmer. 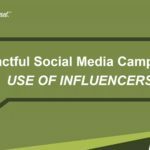 Are you struggling with impactful social media campaigns or wondering where to start with an effective campaign? 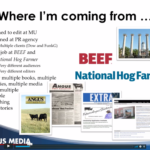 If so, then this webinar highlighting the social media campaigns of the National Pork Board and the National Peanut Board is for you. Learn how to utilize social media for association communications, how to develop a campaign from start to finish, how to use influencers in social media and more! 2018's Photo of the Year Winner Todd Klassy shares his work with us. Todd has more than 14 years of photography experience. He was the first American in 12 years to win the prestigious IFAJ Star Prize for Photography in 2016 and then he did it again the following year, too. Todd shares about the work flow he uses when making photos and how he edits his photos after he captures a scene with his camera. 2018's Photographer of the Year, Rob Mattson, shares his work with us. He is the photographer and imaging specialist for Noble Research Institute in Ardmore, Oklahoma. Rob has more than 25 years of photography experience. Like most of us, Rob’s current assignments are mostly on-location and can vary greatly. He shares how he lights his shoots, his all time favorite photo and some great photography tips. 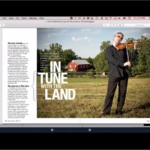 For ag editors and communicators, there's never a time when you aren't busy. As harvest wraps up, and farmers and ranchers start planning and decision-making for the 2019 season, ag editors and communicators are doing the same. Whether it's setting professional goals, personal goals, or creating a budget for content for the upcoming year, putting a plan in place is the first step toward reaching those goals. What does it take to create that "winning" story? How do great writers gain inspiration for story ideas? How is agricultural writing different from other parts of the industry? 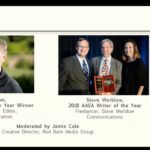 Hear from two of AAEA's decorated writers: Gil Gullickson, 2018 Story of the Year winner and Steve Werblow, 2018 Writer of the Year winner. Join moderator Jamie Cole to discuss these topics, and learn how Gil and Steve crafted their award winning stories! Starting a new job, changing positions or just finding your place at work can be intimidating! 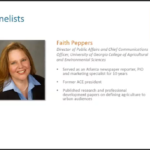 Hear tips for journalists and communicators getting started in ag, including working with seasoned veterans in the field and people of various generations, asking the right questions in interviews, and maintaining credibility while learning the ropes. Have you ever wanted to write THAT story, but hit a roadblock because you couldn’t get the editor on board? Or have you wanted to attend a conference or event, but were told it wasn’t in the cards? We’re bringing together three experts to share their tips and insight on getting what you want. Writing in ag can certainly be a challenge--even more so when industry specific jargon and terms get involved. 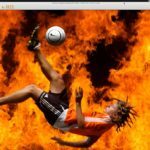 What's the best way to handle those instances when you need to follow AP, agency or publication style guidelines, but also need to use language that doesn't always follow the guidelines? Ever feel like your calendar and to-do list are going to explode? Too much work, not enough time? Between personal and professional life – how do we balance it all? 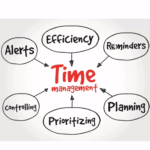 Hear from the experts of time management and how they stay organized each day, even with the most hectic of schedules. Take an inside look at handling a high-risk media inquiry from the Chicago Tribune. Last summer, the Chicago Tribune published a series of negative articles that focused on the Illinois hog production industry. The Maschhoffs was one of several companies approached to discuss a variety of topics, including animal care and the environment. Wanting to get involved with AAEA, but not sure where to start? Learn what different committees are available, what each does and how you can get connected with those groups. Hear from AAEA veterans Mike Wilson, immediate past president; Julie Deering, current president; Christy Couch Lee, president-elect; and Amy Roady, membership chair. 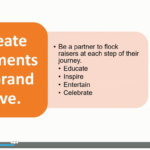 Any type of promotional plan today includes a social media component. But how can agricultural companies best utilize social media to promote themselves or their clients? 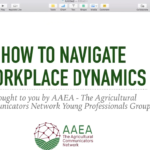 AAEA Young Professionals and Syngenta are pleased to present a panel of seasoned social media professionals who will share with us best practices for social media in agriculture. It’s that time of year again-- time to begin thinking about which articles and photos you want to submit to compete in AAEA’s annual Communications Awards Program. We want to hear your name called up on stage. Don’t you?